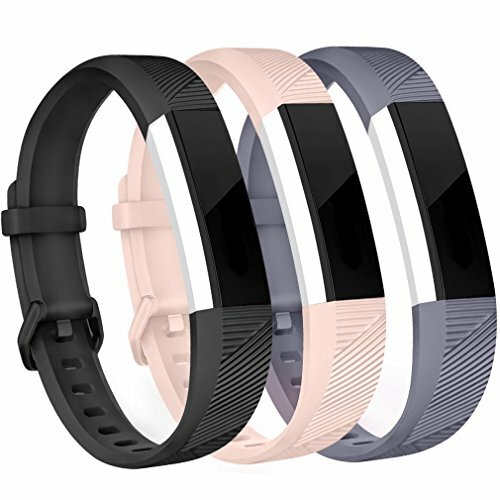 Adjustable Size: The bands for fitbit alta / alta hr available in large size and small size: Small size fits for 5.5 inch - 6.7 inch wrists. Large size fits for 6.7 inch - 8.1 inch wrists. 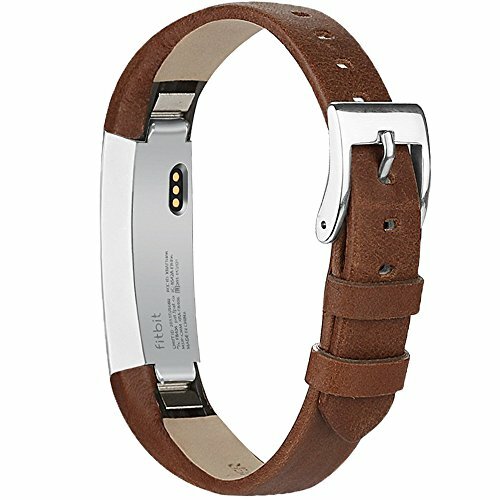 The bands with a stainless steel buckle and strap holder to adjust the suitable length. High Quality TPU Material: Made of flexible, durable TPU material, DO NOT contain any harmful substance. Lightweight and comfortable, brings comfortable experience when you exercise, sleep and beyond. 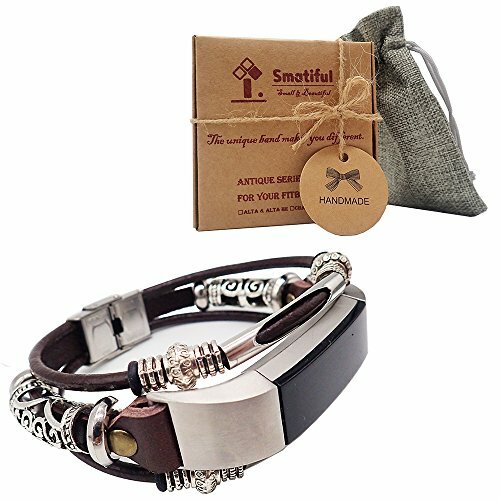 Fine craft made clasps ensure the stability and security of your fitbit and easy to take on / off. 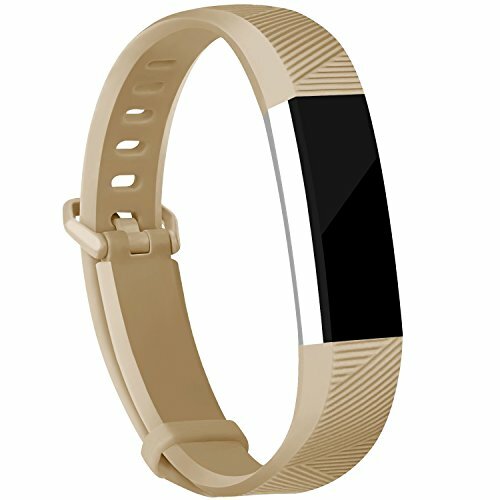 Personalized Your Fitbit Alta HR and Fitbit Alta Fitness Tracker: The replacement bands fit well with Fitbit Alta HR 2017 / Fitbit Alta 2016 Fitness Tracker. 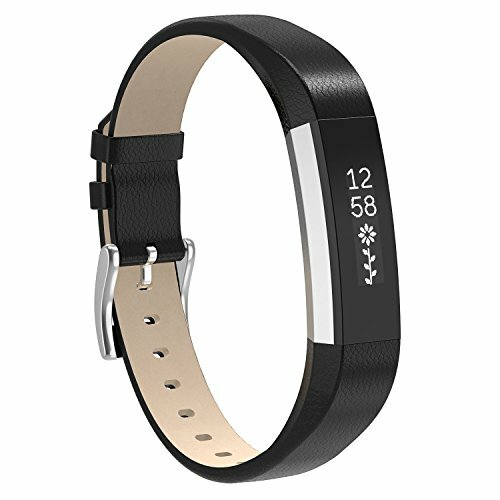 Perfect to replace your original Fitbit Alta (HR) Band. Not include Tracker. 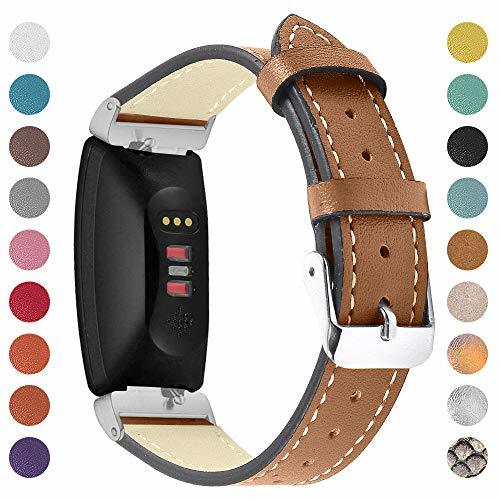 Multiple Vibrant Colors: More delighted varied colors chioces than original Fitbit Alta Band / Fitbit Alta HR Band, fit your mood and outfit in daily life. Dress up your fitbit alta & alta hr and highlight your unique taste. 1 Year Warranty - Replacement or full refund without return. 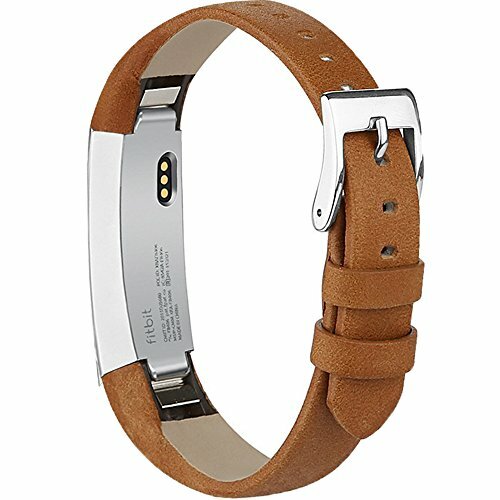 This fits for 5.5 inch - 8.1 inch wrist. This can be freely adjusted according to the circumstance of individual wrist. Genuine leather material with stainless steel metal buckle, providing you with a comfortable wearing experience when doing sport, working or outdoor. This wristbands fit for 5.5 inch - 8.1 inch wrist. 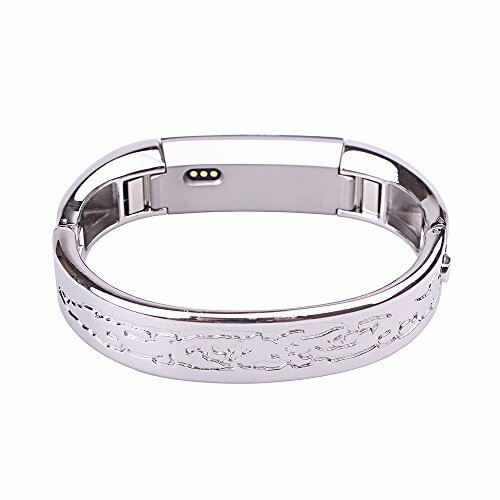 This alta band can be freely adjusted according to the circumstance of individual wrist. Easy to take on / remove with sturdy metal clasp conjunction, no hassle to replace your band. Wide Range of Application - For both Fitbit Alta & Fitbit Alta HR. Comfortable Wearing Experience - Made from soft genuine leather material and eco-friendly to wear. 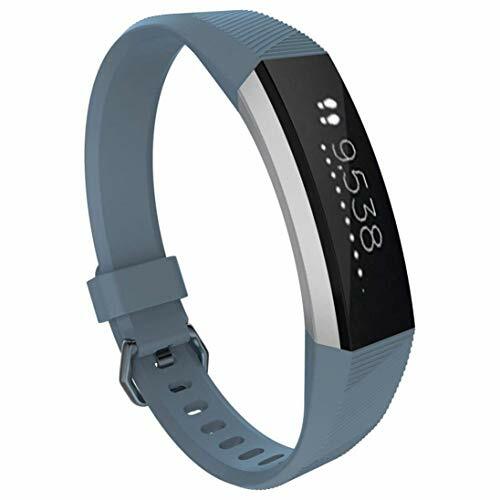 Secure Design - The POY replacement bands for fitbit alta/fitbit alta hr is with Metal Clasps on both ends, which locks onto the watch interface precisely and securely - No Worry to fall off. Abundant Colors Available - Fits your daily style & any occasion. Multiple choice for Men, Women and Kids. Smart Design - gives you total access to every functionality and all buttons without removing. 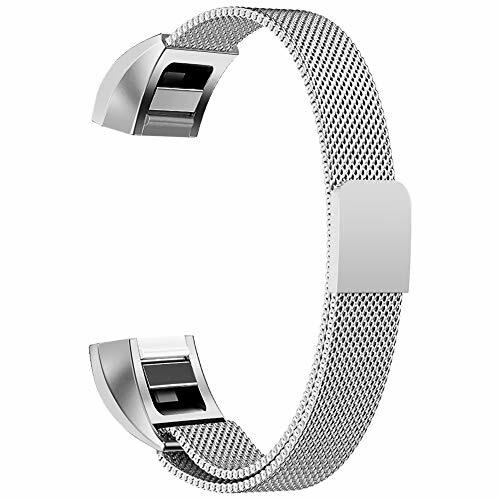 Material: Premium stainless steel metal features luxury, nobility, elegance. Color: Silver, Black, Rose Gold, Champagne. Adjustable Band Length: Small size fits for 5.5" - 8.3" wrist. Large size fits for 6.5" - 9.4" wrist. The unique magnetic closure clasp allows you choose the most comfortable size for yourself. No problem for most sports. Features: Compared to other straps, Milanese shows promise of being scratch proof. Flexible stainless steel milanese solid wire mesh with interlock clasp, ultra-slim, incredibly lightweight and comfortable touching but more upscale. 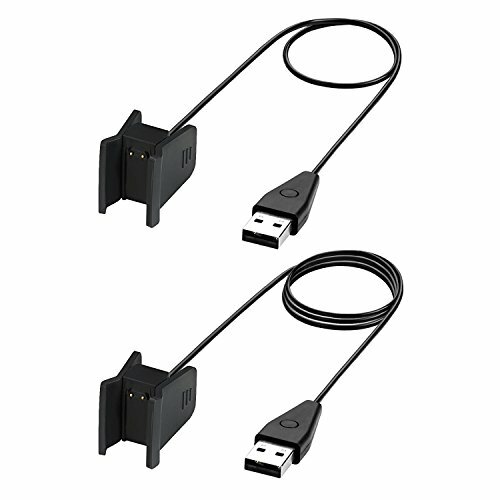 Two durable stainless steel connectors lock the fitbit Alta/ Alta HR securely, very easy to install and remove. 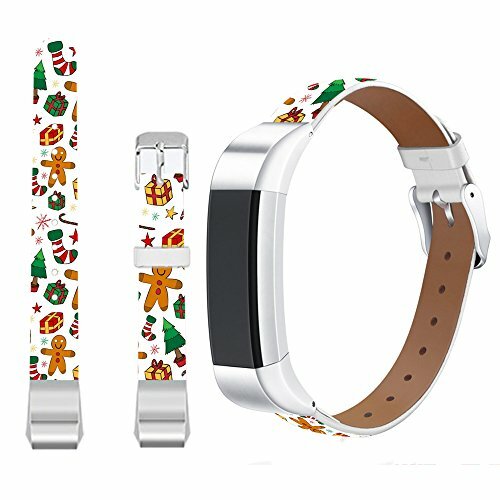 A Perfect Gift: Personalize your watch with this refined strap compared to Fitbit ones, but more attractive cost. Nice gift for friend, lover or other special persons. 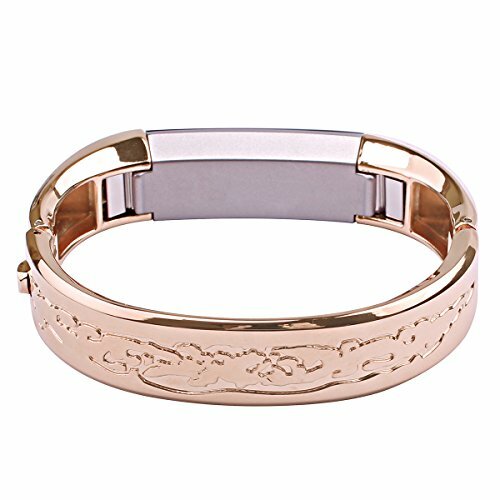 ★Occasions: This watch band is elegant and classy, it is suitable for holiday parties, concerts and very proper to be used as gifts/presents for Wedding day, Birthday, Valentines' day, Mothers' day, Christmas, Thanksgiving Day etc. ★Gift: Best Friends, Girlfriend, Bride, Bridesmaids, Lady & Wife etc. Also Perfect Jewelry for Big Holidays, Celebrations & Special Moments. 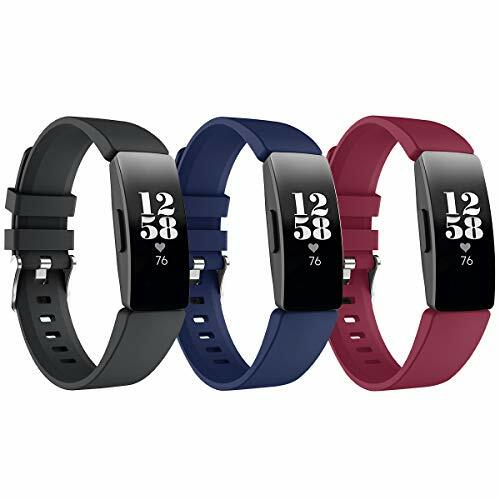 PREMIUM MATERIAL: Our wristbands for Fitbit Alta HR/Alta are made of superior quality silicone materials, skin-friendly, soft and breathable, light and graceful; you can wear it at all hours of the day or night comfortably. If you work outside or like doing sports, it will be a nice choice for you for it can keep your wrist from sweating under the silicone. ADJUSTABLE LENGTH: [Large: 5.9''-8.2'' /150-210mm; Small: 5.7''-7.2'' /145-185mm]. There are many holes on the strap, you just do not necessarily need put it in the traditional holes and can adjust the most comfortable size for you. You do not need to worry about the improper size. 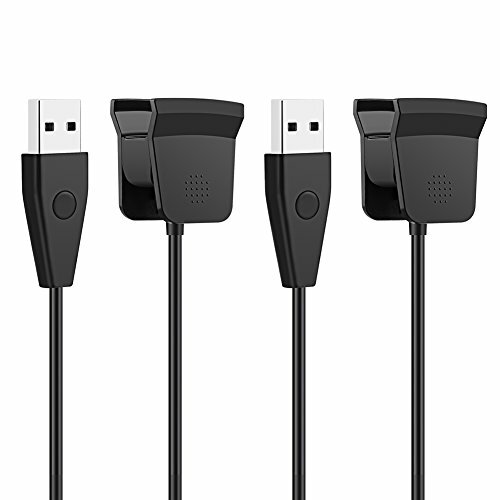 EASY TO INSTALL: High quality upgraded connector, it is very easy for you to attach the band to your Fitbit Alta/Alta Hr, firmly, securely and safely, no tools are required, perfectly fit for your fitness tracker, give your tracker a new and attractive look. 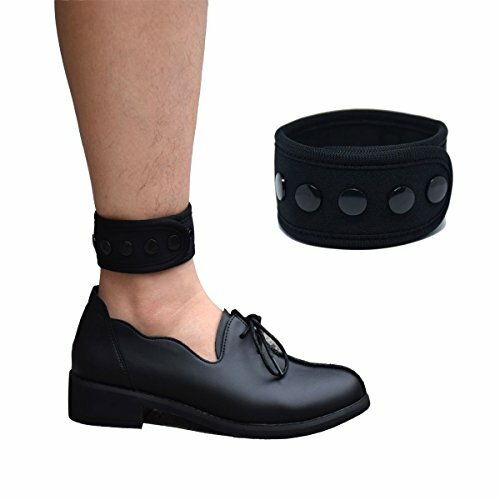 DOUBLE PROTECTION: A high quality stainless steel buckle, free from rust, will not fall off or become deformed; the silicone fastener ring/keeper is durable and soft, help to protect the band from coming loose and falling off effectively. There is nothing to worry about when running, hiking, swimming, etc..
Buckle Design: Fine craft design buckle, easy to take on / off. When you slide the band into your Fitbit Alta HR or Fitbit Alta, you could hear a "Click" sound, then "fell apart" issue 100% solved! 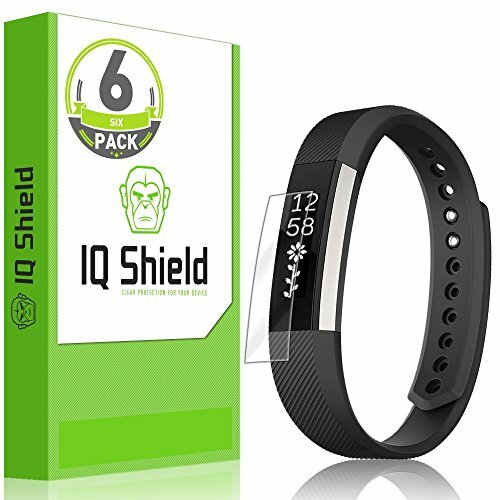 90 DAYS MONEY BACK OR FREE REPLACEMENT WRISTBAND GUARANTEED! Click on "Vancle" next to "Sold by", then click on "Ask a question" on the right top of page. Log in your Amazon account > choose "Your orders" > find the order ID > click "Contact seller". We will give you a response within 12 hours. Stylish and generous adapt a variety of color,let you have more choices for wearing. Metal band adopts high quality 316L premium solid stainless steel alloy material, features a combination of fashion nobility elegance and durability, Brings you lots of compliments. also a special gift for your boy friends, brother,husband, father & sister, girl friend, wife, mother. 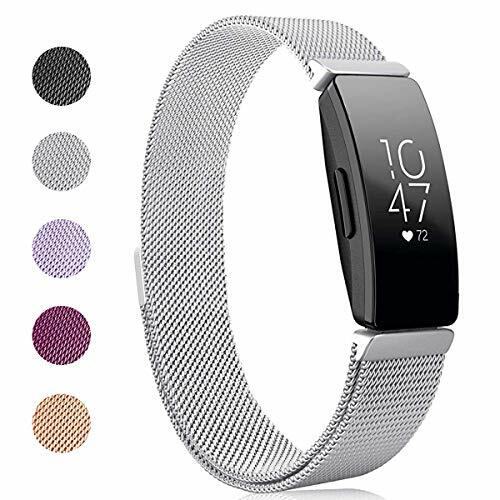 Metal watch band is designed with high quality stainless steel Buckle Buttons,easy to unlock your Fitbit Alta HR Watch, never fall off and conceal the buckle beneath, convenient to use, safe and beautiful. Replacement Band Only. The Fitbit device is not included. Perfect Materials: Made from high quality genuine leather. Soft, durable and very comfortable to wear. 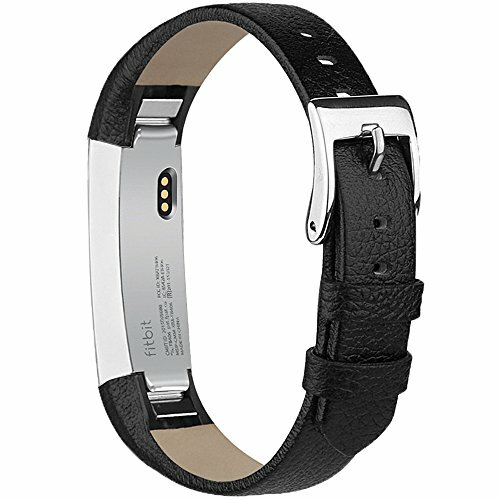 Free Size: Henoda genuine leather replacement band perfectly fits Fitbit Alta and wrists size 5.9-7.6 inches. Perfect Fit with metal clasp for Fitbit Alta HR and Alta (Tracker is NOT included). 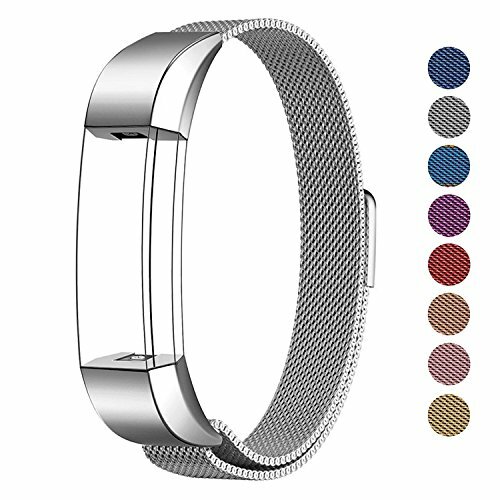 If you are looking for new design of the milanese band, please search B01M09QOPA on Amazon. Small size fits for 5.5" - 8.6" wrist. Large size fits for 6.5" - 9.9" wrist. The strong magnetic closure allows you choose the most comfortable size for yourself, no buckle needed. Made of premium woven stainless steel mesh, flexible and lightweight, offering comfortable wearing experience. 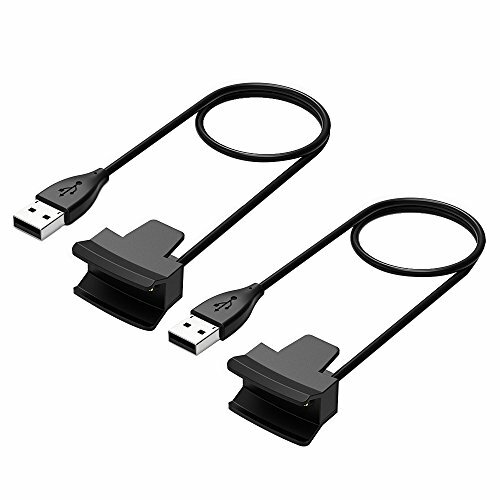 Two durable stainless steel connectors lock the fitbit alta hr / alta securely, very easy to install and remove. Multiple color bands are available: sliver, colorful, rose gold, gold, champagne, rose pink, space grey and black. ★ Made from high quality Silicone , this case is flexible and soft. 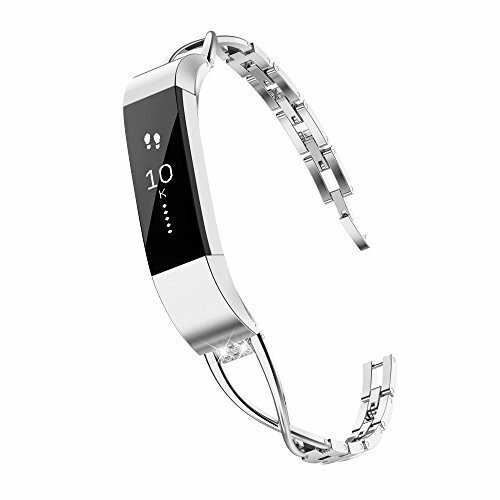 No smell and no deformation, make your Fitbit watch more elegant and luxury, attractive and durable. ★ Protects your Fitibit Watch, The case is shock-proof, shatter-resistant and dustproof. Besides, washable performance ensures repeated cleaning, making it new always. 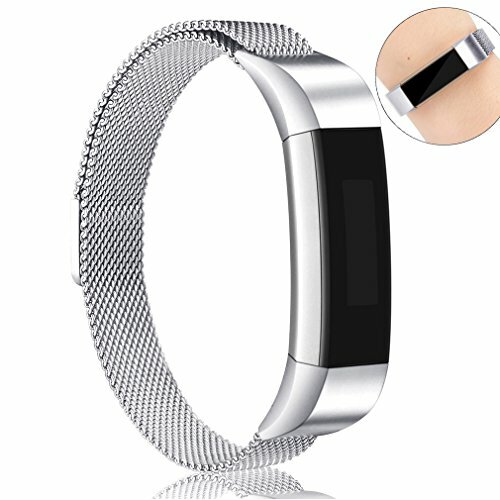 ★ 360 degree full protection,you don't have to worry about your watch being scratched. Reduction natural viewing experience. 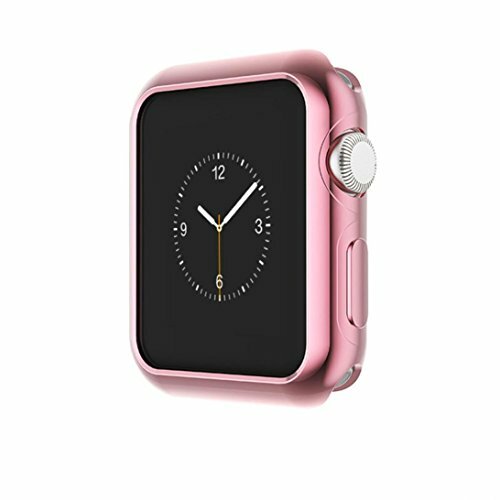 ★ Convenience- With accurate access to all the function buttons of Fitibit Ionic Watch, the case will not affect the touch screen. ★ If you have any problem with our product, just contact us. Our support team is ready to assist you to solve the problem you met.We're always here for you. Included: Protective Fitbit Alta Hr Smartwatch Case Only. This fitbit Alta HR Ace replacement band fits for 5.5 inch - 8.1 inch wrist. 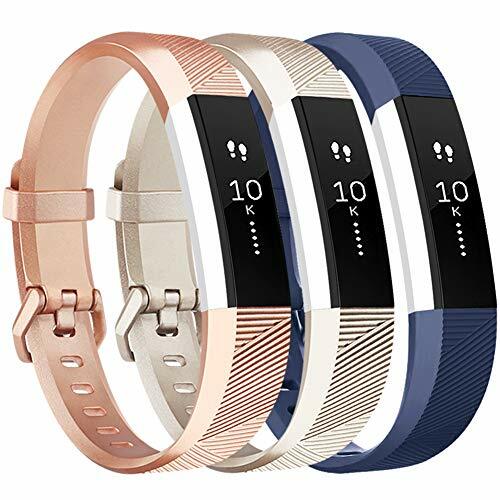 The size of this replacement fitbit alta accessory band can be freely adjusted according to the circumstance of individual wrist, providing the best wearing experience. 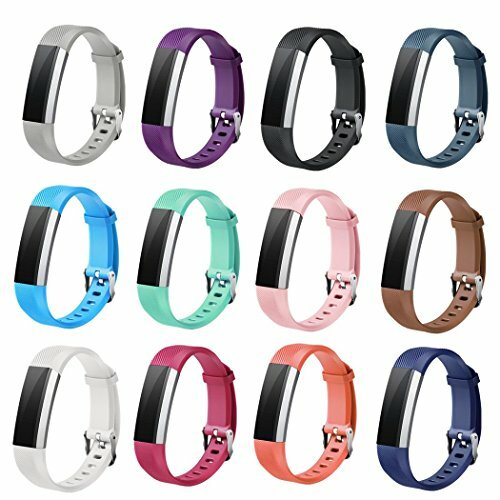 Various colors and two selected sizes for you to choose,makes your fitbit alta looks less sporty and more like a fashion accessory. 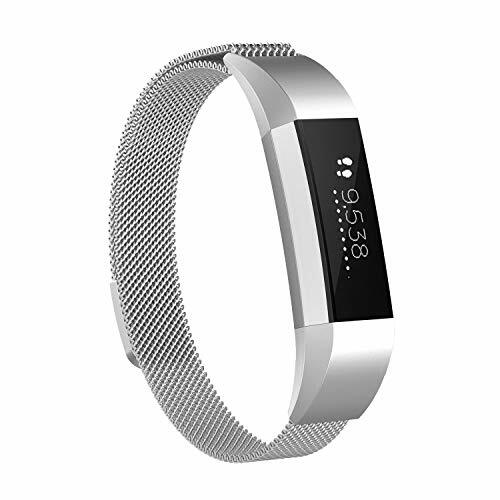 Eco-friendly, low-key but Luxury, elegant and practical fitbit alta watch band for fitbit alta fitness tracker. Best gift for yourself, your family and friends! 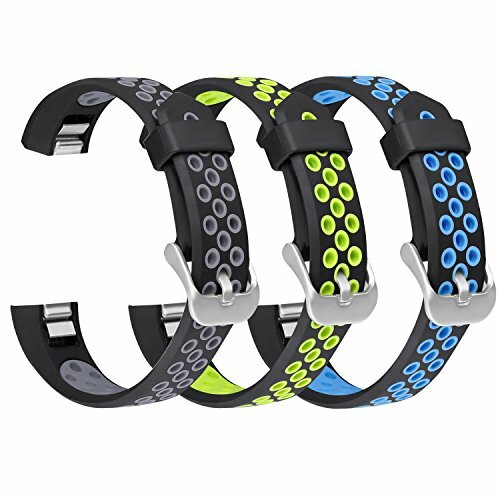 [3 PACK]Amzpas TPU replacement bands with clasp edition and buckle edition, perfect fit for both Fitbit alta HR and Fitbit alta. 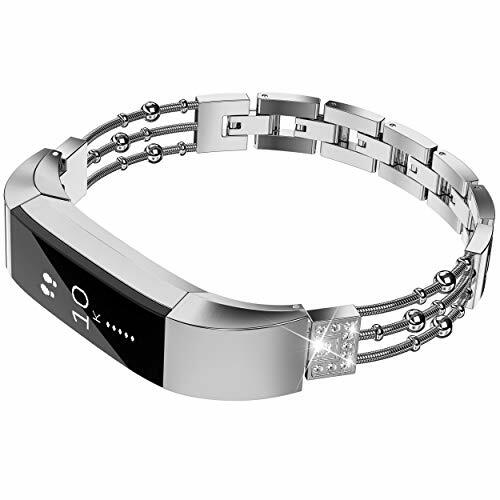 ABSOULUTELY SECURITY: The metal clasp of the replacement bands are made of premium stainless steel, perfect fit for your fitbit and ensure security. No worry about falling off. Premium material: made from elastic and durable TPU material without any harmful chemical substance, comfortable, flexible and eco-friendly. 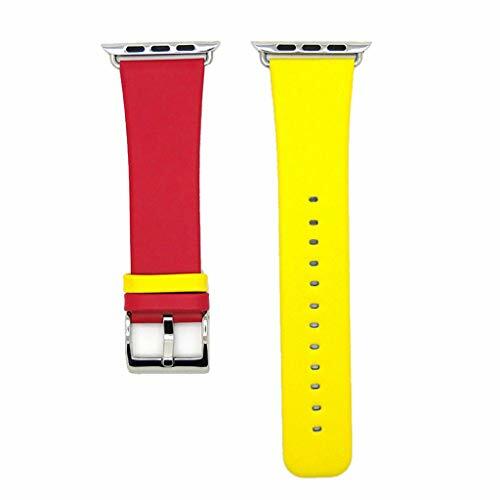 2 Sizes: Flexible adjustment with both small size(5.5"-6.7" wrist) and large size(6.7"-8.1" wrist)(This size refers to the size of your wrist, NOT the length of the band). 1-Year warranty: for replacement or full refund without return the item. If you have any concern about your order, please feel free to contact us via email. 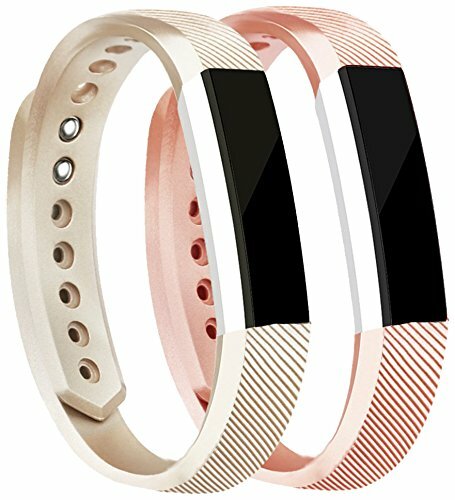 Features - These ROSE GOLD and GOLD Premium flexible TPU replacement bands are smooth, water-resistant (sweat, rain, splash) makes it easy to wipe away sweat or dirt. Intended for high intensity workouts and sleep tracking. Which conforms to ergonomics and perfect fit your fitness tracker. Multiple Choice : There are PACK of different popular colors available, such as black, gray, blue, blush pink, slate, teal, etc. Two patterns ( Classic with Color-matching buckle and shiny stainless steel clasp) are as same as the patterns of original bands. Buy Several colors to change your daily Outfit and also can highlight your unique taste. 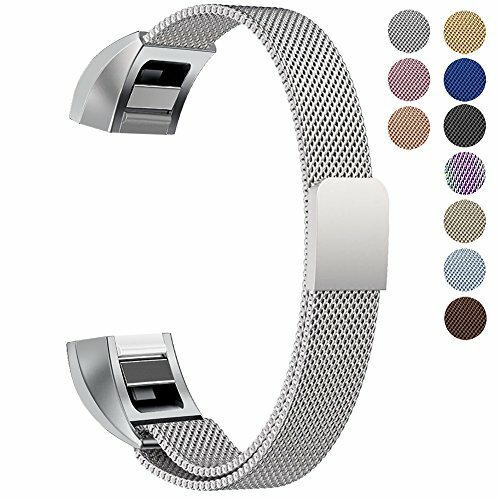 Security Protection: Our replacement bands with a High quality stainless steel watch buckle and a FASTENER ring can help to keep tracker from coming loose and falling off. 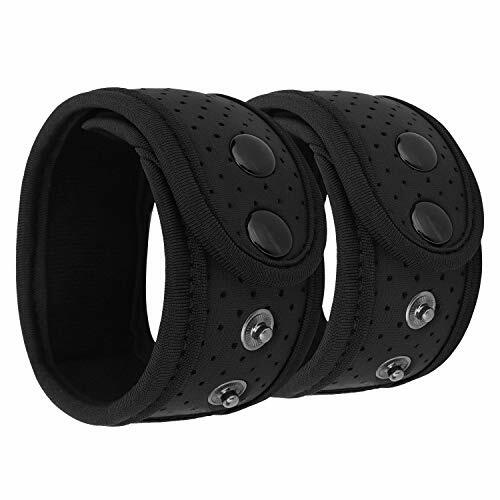 Adjustable Size: Precise multiple alternative holes allow you adjust most comfortable in place. Size Small for 5.5" - 6.7" and Size Large for 6.7"-8.1". suitable designed for most of people, no matter teenagers, men, women or the aged. Guarantee: 12-month no Hassle Warranty. For any possible defective products, please contact us first, Tobfit will offer you a free replacement or refund. ❤ Delighted varied color bands make your Fitbit Alta HR and Fitbit Alta more personalized to fit your mood and outfits in daily life. ❤ Easy to Take On and Off: The fine craft make the band easy to install and one button disengage from your fitbit, no tool needed. 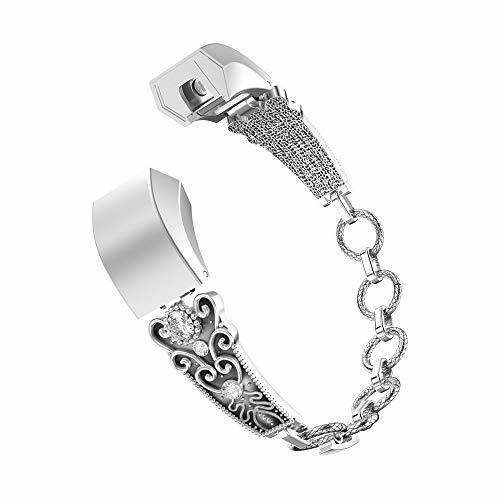 At the same time, the exquisite crafts makes the band and watch can be tight and firmly connected, and so does the connection between the buckle and the size holes. ❤ Perfect Wearing Experience: Premium TPU materials make these bands softer, lighter and more durable. Easy to clean and no need to worry about fading. These bands can still be as good as new after months of wearing. 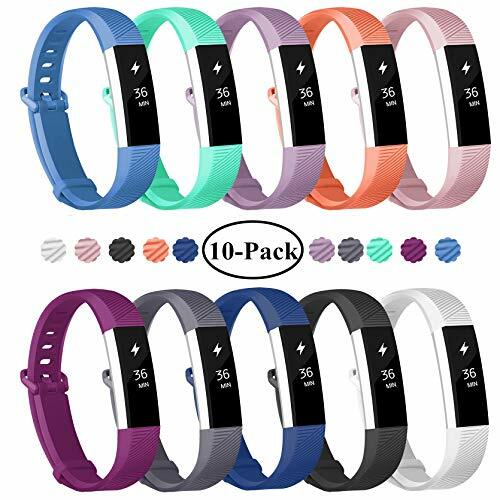 ❤ Package Includes: 10-Pack Fundro silicone replacement band for Fitbit Alta HR and Fitbit Alta. ❤ 18 Months Warranty: Hassle free replacement or money back during the warranty. 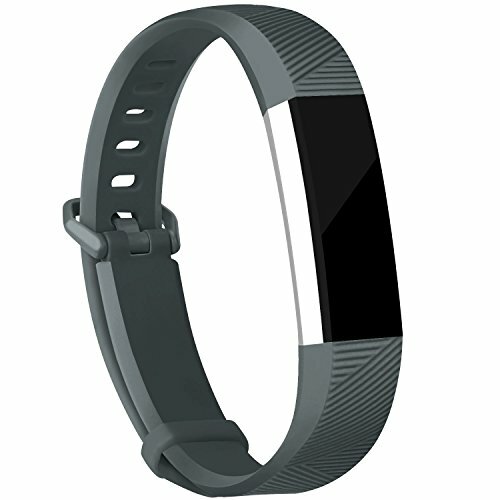 This band is specially designed for both Fitbit Alta 2016 and Fitbit Alta HR 2017. Small and Large Sizes Available: Small Size for 5.1 - 6.7 inches wrist. Large Size for 6.7 - 9.3 inches wrist. Band width: 12mm. Very slim.Band size can be freely adjusted according to the circumstance of individual wrist.One size fits most, providing the best wearing experience. 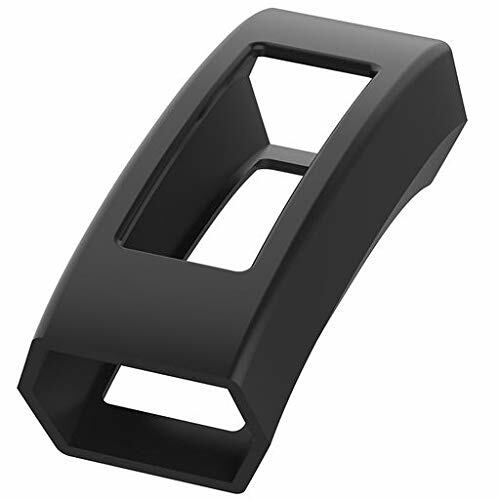 Very Strong Magnetic Clasp locks your Fitbit Alta / Alta HR steady and secure, prevents your fitbit from falling off and and no worry about losing your device. Easy to install and one button remove from your fitbit alta / fitbit alta hr.No hassle to replace your band. One Year Warranty: Replacement or full refund without return.Please feel free to contact us via email if there is any problem about the band,we will give you a response within 24 hours. 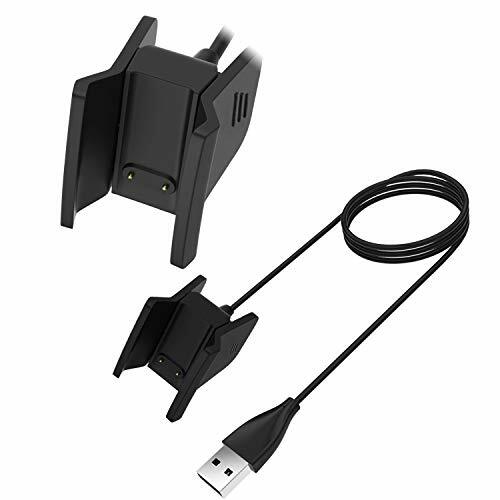 Power Protection Inside (PTC): All quality and safety checked, Keep your Fitbit Alta / Alta HR safe from over-current or over-charging when connected it power source. 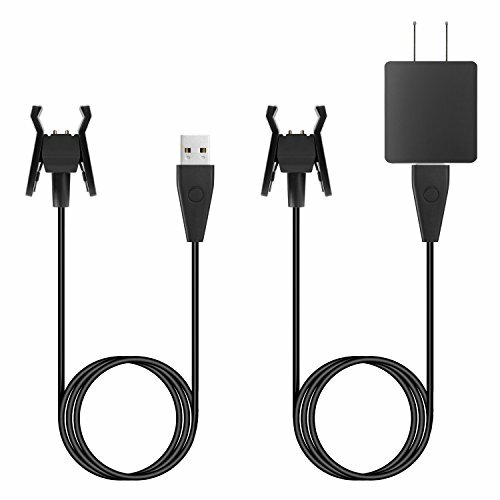 3.3ft/1M Long Length - Extra long replacement charger cable makes your life more convenient by charging your Fitbit Alta HR / Alta in the Office, at Home, in Car or in Travels wherever, whenever. 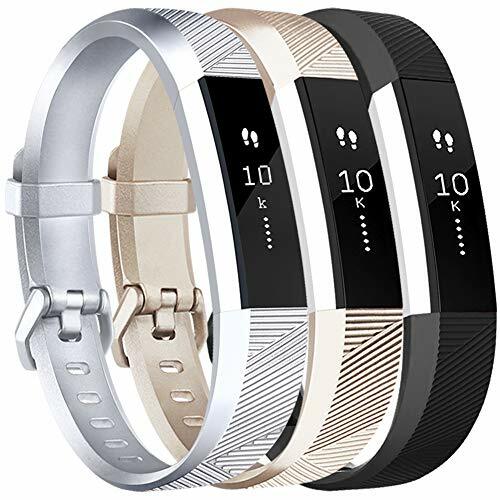 Made of Stainless Steel Metal - this Fitbit Alta Metal band with connector is durable and long lasting, available for both men and women when sport, dating, meeting etc. 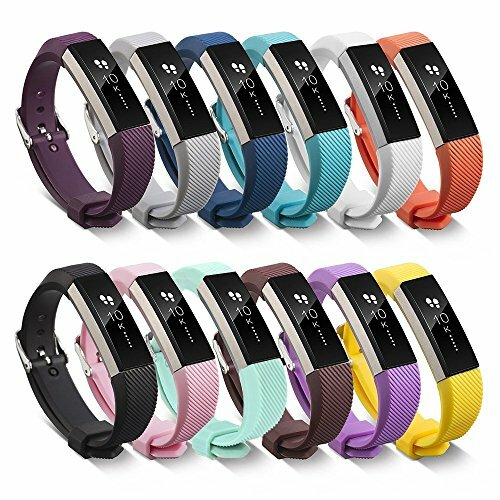 【Perfect fit】The Fitbit Inspire bands specially designed for Fitbit Inspire and Inspire HR Fitness Tracker. High Quality】Made from high quality leather. Soft, durable and very comfortable to wear, fashionable craftsmanship, durable, comfortable touch feeling on your wrist, perfect for daily and nightly wear. 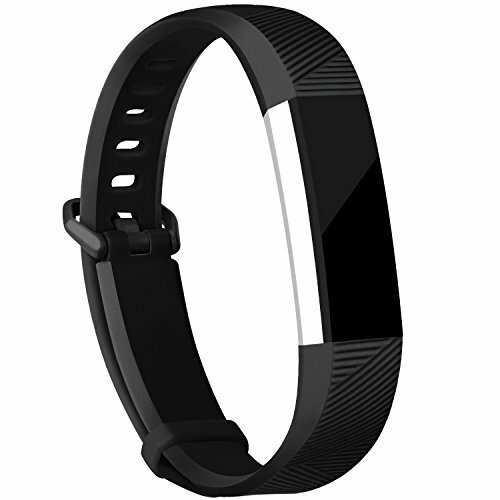 【Super Covenient】No tools needed.Super easy to install & resize & uninstallfrom Fitbit inspire hr tracker. Packaging Contents】1*Fitbit Inspire band Only.Fitbit Inspire/Inspire HR Fitness Tracker NOT included. 【Buy with confidence】360-day return refund guarantee.If you have any problems, please contact with Customer Service.You will be given a reply within 24 hours. 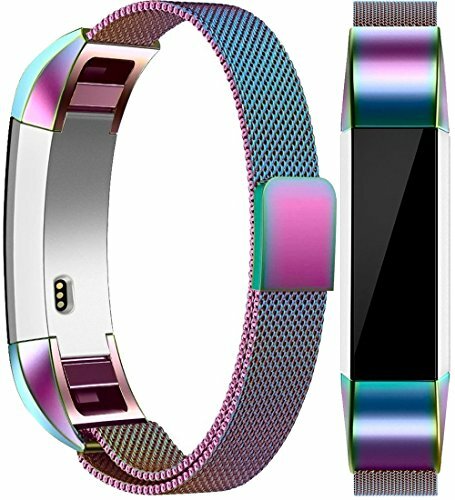 Kartice Compatible Fitbit Inspire HR Bands/Fitbit Inspire Band,Inspire Accessory Milanese Stainless Steel Mesh Men Women Replacement Strap for Fitbit Inspire & Inspire HR Tracker. 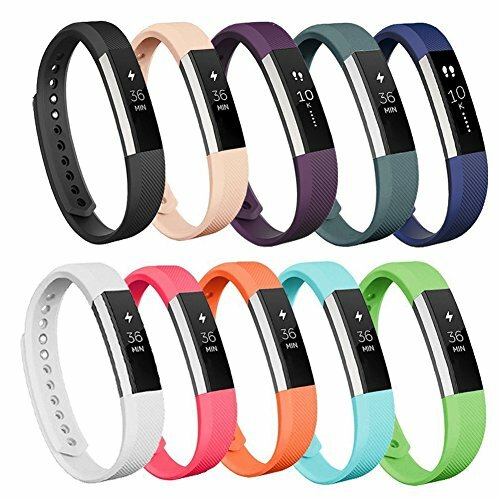 【Perfect fit】The Fitbit Inspire bands specially designed for Fitbit Inspire and Inspire HR Fitness Tracker.Fits for (5.5"-8.2") wrist. 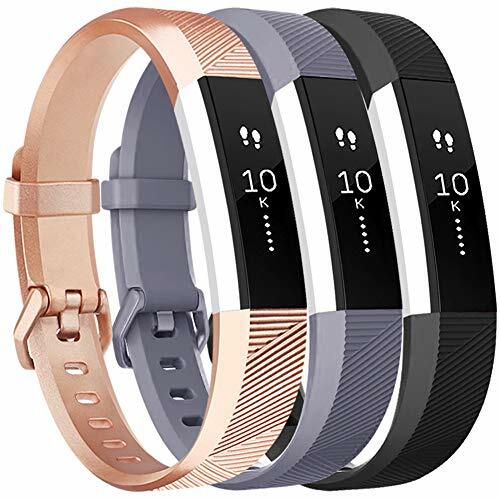 【Stronger magnetic】The Fitbit Inspire hr bands metal with magnetic closure stay in place and won't moves and get loosen.the strap does not get pulled open when sticking to metal. 【Easy Install】An innovative pin-and-tuck closure ensures a clean fit.Lightweight material let's your enjoy good sport time and offers sleek style that elevates any look. 【Packaging Contents】1*Fitbit Inspire hr band Only.2* Quick Release Spring Pins.Fitbit Inspire/Inspire HR Fitness Tracker NOT included. 【Buy with confidence】Various colors and finishes to fit anyone's tastes.360-day return refund guarantee.If you have any problems, please contact with Customer Service.You will be given a reply within 24 hours. 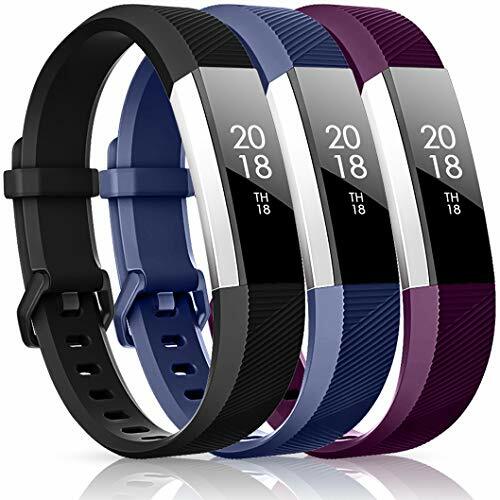 Kartice Compatible Fitbit Inspire Bands/Fitbit Inspire HR Band,Adjustable Soft Silicone Sports Replacement Accessories Bands for Fitbit Inspire/Inspire HR Fitness Tracker. 【High Quality】Made of superior softer Silicone material, fashionable craftsmanship, durable, comfortable touch feeling on your wrist, perfect for daily and nightly wear.Fit for 5.5" - 7.1"(140-187mm) wrist. 【Packaging Contents】3*Fitbit Inspire band Only.Fitbit Inspire/Inspire HR Fitness Tracker NOT included.